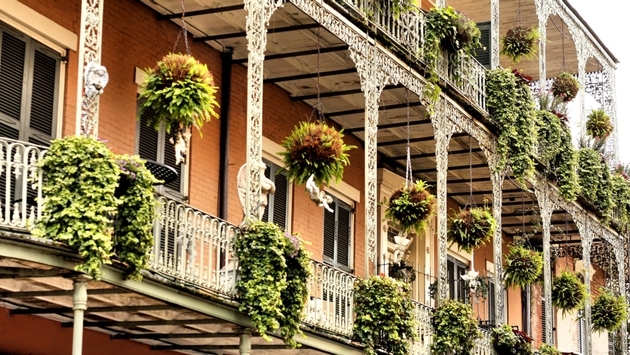 What’s New in New Orleans Hospitality Industry This August? The 13th annual COOLinary New Orleans Restaurant Month will take place throughout the month of August, offering discounted menus from more than 90 restaurants across the city. — Participating restaurants will offer special two- and three-course lunch menus for $20 or less, three-course dinner menus for $39 or less and three-course brunch menus for $39 or less. — See all participating restaurants here. The 17th annual Satchmo SummerFest is set to take place, August 4-6, at the New Orleans Jazz Museum at the Mint. — The festival is considered the only traditional jazz festival in New Orleans and celebrates the music and legacy of Louis “Satchmo” Armstrong. The 41st annual Whitney White Linen Night will take place in the Warehouse District, August 5. — This free event invites patrons of the arts to dress in white linen and browse more than 20 local galleries and museums on Julia Street. — Food and cocktails from more than 25 local restaurants will be offered throughout the evening. The 23rd annual Red Dress Run will paint the French Quarter red on August 12. — Both men and women will don red dresses and race throughout the French Quarter to support more than 100 local charities. — The 16th annual Dirty Linen Night invites art enthusiasts August 12 to put on their dirty linens from the previous weekend and stroll through the art galleries along Royal Street to admire the art and sample food and cocktails from several local restaurants. The 46th annual Southern Decadence events will take over the French Quarter, August 30-Sept. 4, for a weekend of LGBT parties, concerts, parades and revelry. — New Orleans is a major destination for LGBT travelers, affirming the history of diversity, tolerance and inclusiveness in welcoming all. The Historic New Orleans Collection announced a year of special programming commemorating New Orleans’ tricentennial in 2018. — THNOC will open a special bilingual tricentennial exhibit New Orleans, the Founding Era, a multifaceted exploration of the city’s first few decades. — As part of the tricentennial exhibit, THNOC will present Making New Orleans Home: A Tricentennial Symposium, March 8-11, 2018. — The four-day event will explore how the 300-year history of how New Orleans came to be inhabited by diverse, vibrant people and how, in turn, the concept of home has been central to the life and culture of the city. — A third campus of the Historic New Orleans Collection, the renovated 19th century Seignouret-Brulatour Building, will open in the French Quarter in fall 2018. — The building is expected to open with the exhibition Art of the City: Postmodern to Post-Katrina, presented by The Helis Foundation, featuring works of contemporary art from more than 75 artists. On July 21, The National World War II Museum unveiled a special exhibit called The Pelican State Goes to War: Louisiana in World War II. — The exhibit features artifacts, photographs, oral histories and associated educational programming to highlight Louisiana’s extraordinary contributions toward America achieving victory in World War II. — The exhibit will be on display at the National World War II Museum through April 29, 2018. On June 10, The National World War II Museum opened their new permanent exhibit The Arsenal of Democracy: The Herman and George Brown Salute to the Home Front. — The new exhibit is located on the second floor of the Museum’s original Louisiana Memorial Pavilion. — The exhibit tells the story of the road to war and the Home Front through nine immersive galleries. The American Queen Steamboat Company is set to launch their third vessel, American Duchess, with a christening ceremony on August 14 at the Port of New Orleans. — The American Duchess is the third paddle wheeler of the fleet along with American Queen and American Empress. — The American Duchess is a 166-guest all-suite vessel that will offer overnight stays from New Orleans. The New Orleans Museum of Art (NOMA) will showcase renowned art collector and gallery owner Arthur Roger’s entire personal art collection. — The contemporary collection, Pride of Place: The Making of Contemporary Art in New Orleans will be on display June 23-Sept. 3. — Arthur Roger is a local New Orleanian and owner of the Arthur Roger Gallery. His contemporary art gallery on Julia Street was founded in 1978 and is one of the most exciting contemporary art venues in the city. New Orleans’ latest luxury hotel, the NOPSI Hotel, opened July 6. — NOPSI, which stands for New Orleans Public Service Inc., is in the former headquarters of the city’s power and transportation company, which was originally constructed in 1927. — Located in the Central Business District, the nine-story building features 217 guestrooms, including 76 suites, a regionally inspired restaurant, 14,000 square feet of indoor and outdoor meeting space, and a sophisticated rooftop pool and bar. Herbsaint announced that it has been awarded the prestigious Award of Excellence by Wine Spectator for its outstanding wine program. — Herbsaint was recognized among more than 3,000 other winners from all over the world as a top destination for wine lovers by Wine Spectator. Public Service, the NOPSI Hotel’s signature restaurant, officially opened its doors on July 6. — Chef Dustin Brien leads the culinary team as the chef de cuisine of Public Service, previously the executive chef of Salú. Carlos Ramirez, former general manager of Restaurant R’evolution, leads the front-of-the-house operations. — The restaurant’s menu features contemporary cuisine that highlights local and seasonal ingredients, prepared in an open-display kitchen with the addition of a modern raw bar and open-flame rotisserie. — Public Service is open for breakfast, lunch and dinner daily, and serves brunch on Saturdays and Sundays. New Orleans was named the No. 4 City in the United States for the fourth consecutive year in Travel + Leisure’s World’s Best Awards 2017. — New Orleans ranked ahead of Nashville, Tenn., Chicago, Boston and Portland Ore. In the list of Best U.S. Cities and ranked in the top four along with Charleston, S.C., Savannah, Ga. and Santa Fe, N.M.
— Readers ranked cities on their sights and landmarks, culture, cuisine, friendliness, shopping and overall value. — The Old No. 77 Hotel & Chandlery was also recognized as the No. 13 City Hotel in the continental United States. Food & Wine named New Orleans one of the Best Food Cities in the World. — The list featured six international cities including Florence, London, Toronto, Tokyo, Paris and Hong Kong. — New Orleans was in good company as one of only four U.S. cities included: Los Angeles, New York City and Charleston, S.C.
— The new terminal is now set to open February 2019. — The five-gate expansion and new opening date comes as the airport has exceeded all passenger enplanement targets and added new international airlift to Europe and South America. — Frontier Airlines announced four new nonstop flights out of New Orleans. — Austin, Texas. Flights depart and return to New Orleans Tuesday, Thursday and Sunday, beginning Oct. 5, 2017. — Islip, New York. Flights depart New Orleans Tuesday and Thursday and return Sunday and Tuesday, beginning Oct. 6, 2017. — Providence, Rhode Island. Flights depart and return to New Orleans Tuesday, Thursday and Sunday, beginning Oct. 5, 2017. — San Antonio, Texas. Flights depart Wednesday and Friday. Flights return to New Orleans Monday, Wednesday, Friday and Saturday, beginning Oct. 6, 2017. — Delta Airlines announced a seasonal, twice weekly, nonstop flight from Boston to New Orleans beginning Feb. 10, 2018 and running through April 1, 2018. — Alaska Airlines announced a daily, nonstop flight from San Francisco to New Orleans beginning Sept. 21, 2017. — Younique Products’ annual convention is a three-day event to uplift, empower, validate and ultimately build self-esteem in women around the world. — The Louisiana Foodservice and Hospitality EXPO is the largest and most attended showcase of its kind in the region. — Held in New Orleans every August, the LRA invites companies to exhibit their products and services to an audience of thousands of restaurant owners and operators. — A wide variety of special events and educational seminars are available. — The National Association of Black Journalists (NABJ) Annual Convention is held each summer and consists of dozens of plenary sessions and workshops for professional development for members of NABJ. — Connect is the premier hosted-buyer event that brings together the most active planners, suppliers and experts in corporate, association, specialty, expo and sports meetings and events. — The Marine Aquarium Conference of North America is the premier marine aquarium conference that features speakers, vendors and visitors from all over the world.